The Practice in Formby has been in existence for more than 35 years and has a reputation for providing an excellent, fast, effective professional service, receiving referrals from General Practitioners, Consultants and word of mouth by satisfied clients. Paul Chadwick also acts as an Expert Witness for personal injury claims. Paul Chadwick established the Practice and leads the team of dedicated professionals, all of whom have considerable professional histories of their own. Paul qualified as a Chartered Physiotherapist in Bath in 1974 with credit. In 1976 he went to study with Geoff Maitland, a world authority in musculoskeletal management in South Australia, obtaining a post-graduate qualification in the subject with distinction. He returned to the UK in 1978 and took up a post at Walton Hospital Liverpool where he headed the musculoskeletal team, both clinically and by teaching other physiotherapists. He became one of the lecturers and examiners on the UK National courses. He lectured widely in the UK and Scandinavia on his specialist subject and also had several articles published in professional journals and textbooks. From 1982 to 1994 Paul was the physiotherapist to Liverpool Football Club; hence his vast experience in sports injury management. Paul is a longstanding member of the MACP. 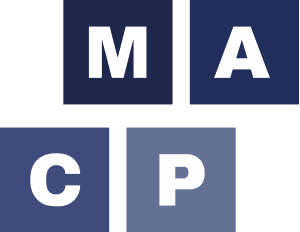 The Musculoskeletal Association of Chartered Physiotherapists (MACP) is a group of over 1100 physiotherapists with specialised post-graduate training. Formby | Southport | Crosby | Maghull | Lydiate | Aughton | Ormskirk | Liverpool and the Wirral. Recognised by all major private health Insurers.